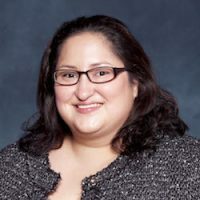 In this video activity, Erica, Garcia-Pittman discusses risks/issues with the use of antidepressants in the treatment of anxiety/bipolar disorder in geriatric patients, current trends and literature regarding the management of anxiety and bipolar disorder in the geriatric population, and guidelines for use of traditional mood stabilizers in older adults incluing monitoring recommendations. The lecture was originally recorded at The University of Texas at Austin College of Pharmacy's annual Psychiatric Pharmacotherapy Update. This course is presented in a lecture format, available via MP4 files, and is accompanied by PDFs of the presenter's PowerPoint slides. A post-test and program evaluation will be completed after reviewing the presentation. The post-test and evaluation must be completed BEFORE March 2020. The University of Texas at Austin College of Pharmacy is accredited by the Accreditation Council for Pharmacy Education as a provider of continuing pharmacy education. This online activity is approved for 0.10 CEUs (1.00 contact hour) of continuing education credit. In order to receive 1.00 contact hours of CE credit, the participant must watch the videos in their entirety, complete the online post-tests, and complete the online evaluation. Management of Anxiety and Bipolar in Geriatric Patients.